The Square Hue Rovaniemi Collection is the last installment of their Passport Collection that they've had going on throughout 2014. This also happens to be their holiday box as well as being based on Rovaniemi. Prior to this collection I had never heard of the city before, but a quick google search led me to everything I could want to know! Rovaniemi is a city in Finland that is dubbed The Official Hometown of Santa Claus. How fitting that this be the name of their last collection. Touche Square Hue, touche. Now, don't expect me to actually be able to pronounce any of the names of the polishes, nor the city itself. I don't know any Finnish and I would only butcher the names badly. Joulupukin Pajakylä means Santa Claus Village and is a traditional deep red polish with red and purple micro glitter in it. 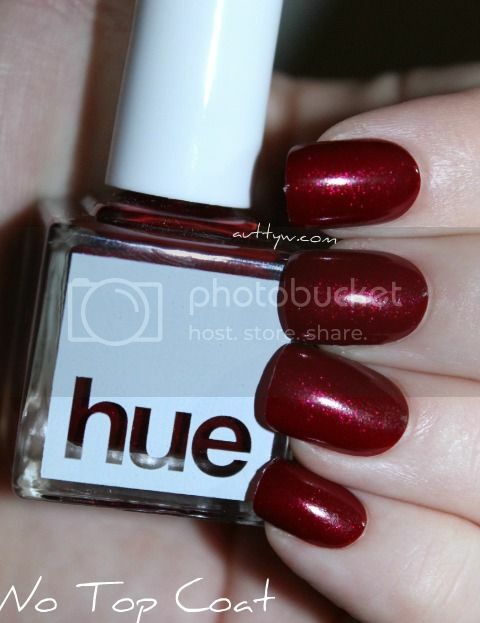 This polish is full coverage in two coats and the formula is absolutely perfect! This is a dream formula! Easy to work with, doesn't flood the cuticles. It's everything you want in a polish. I don't suggest mattifying this because it dulls the shimmer. 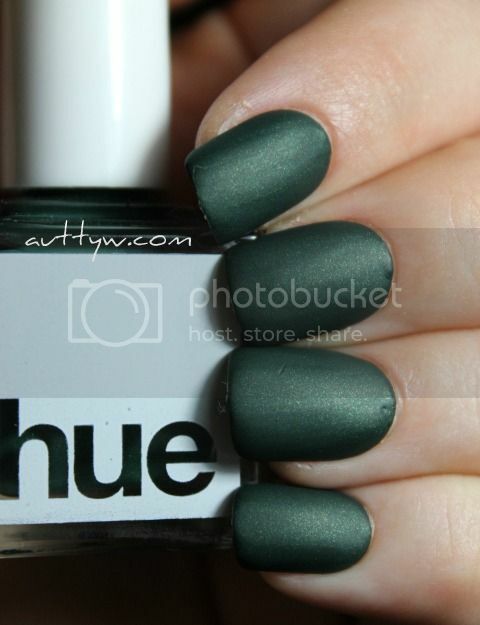 Revontuli means Fox Fire in Finish and I believe it's relating to the Norther Lights and is A dark green matte (or as they call it Satin) polish with gold micro shimmer. 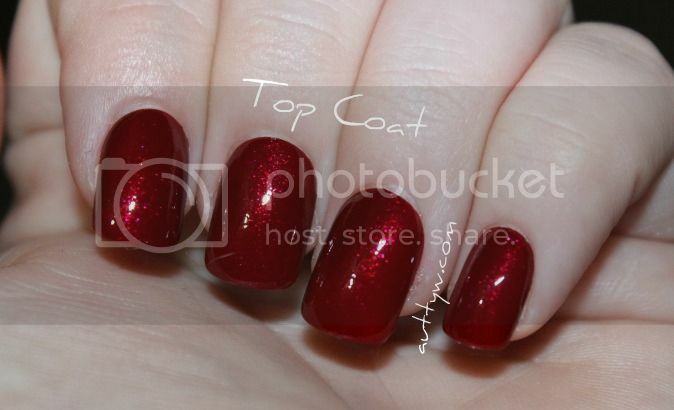 This polish is a total one coater. HOWEVER it's extremely thick and I did have to thin it out quite a bit to get it to a point where it was manageable. You do have to work quickly with this because it does dry rather quickly. In the pictures I showed you what it looked like with two coats because I wanted the nails to look some-what even. I do like this polish in it's natural state as well as shiny, you can see the gold more when it's top coated! 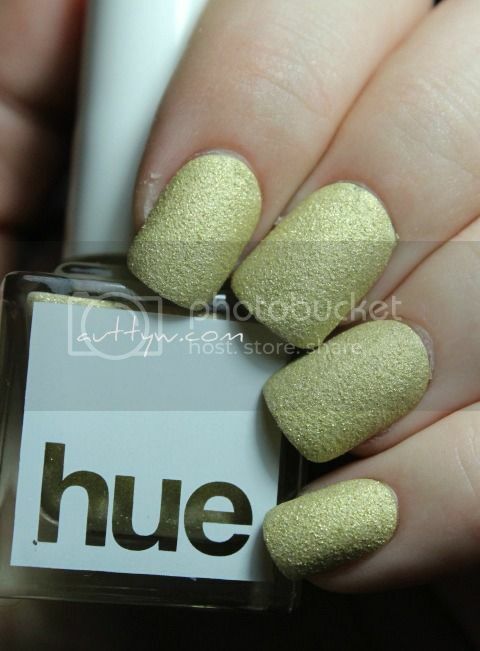 Sampokeskus is a Shopping Center located in Rovaniemi and is a yellow/gold textured polish. I'm pleased to say that this isn't overly textured, in my opinion it's just the right amount of texture without being annoying or chunky. 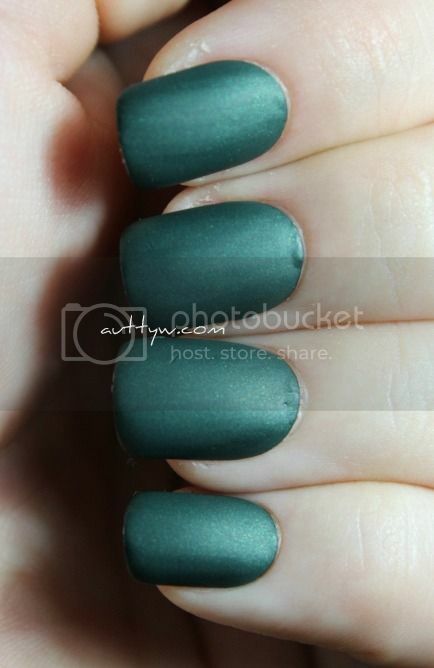 (I'm looking at those new Zoya's) This polish can be a 1 coater if you apply it thick, or if you apply thin coats (which I suggest doing) it's a two coater for sure. 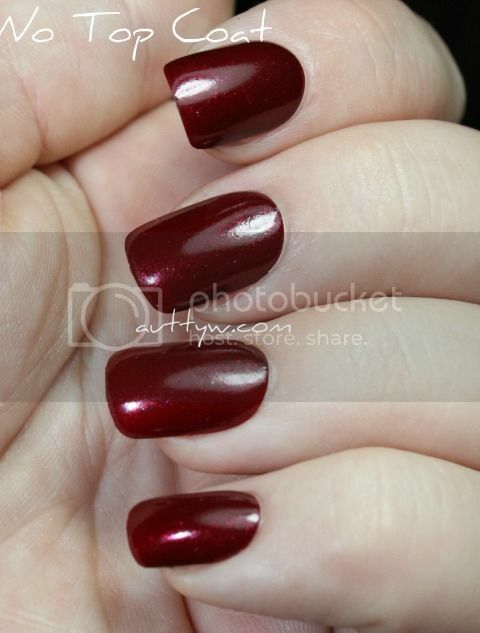 This is such a gorgeous polish and it's just as stunning with a top coat! Overall I'm very pleased with this collection! With it being my first ever polishes from Square Hue, I will say that they are definitely worth the subscription prices! My only issue is that Revontuli should be thinner to make it easier to work with, but if you have nail polish thinner, you can thin it to however you'd like. This collection is an absolute stunner none the less and is perfect for the holidays! The products mentioned were provided for PR use. All opinions are my own. These are all nice but that first polish you swatched is gorgeous! these are all so pretty!! Nice review! I had a lot of trouble with Revontuli which I am still sad about. They really are! Unfortunately after the nail art that I did for Christmas using them, I may not use them again. I'm behind on getting swatches up. Thank you! xoxo Yeah it was a pain, that was probably my 4th swatch of it actually. That red is so beautiful. I really don't care for the gold, though. 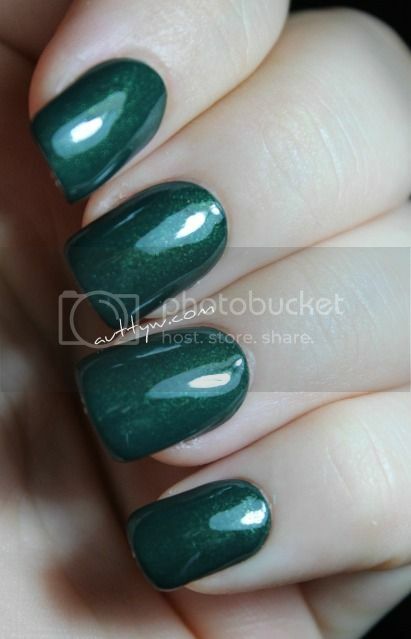 The more I look at the polishes, the more I agree with you! Copyright Auttyw . Ethereal theme. Powered by Blogger.